As our name suggests we aim to provide a gentle, enjoyable, safe experience but still with a flavour of excitement and achievement. We welcome small groups, individuals and families. The Canadian Canoe is a safe and stable craft suitable for a wide range of ages and fitness levels. 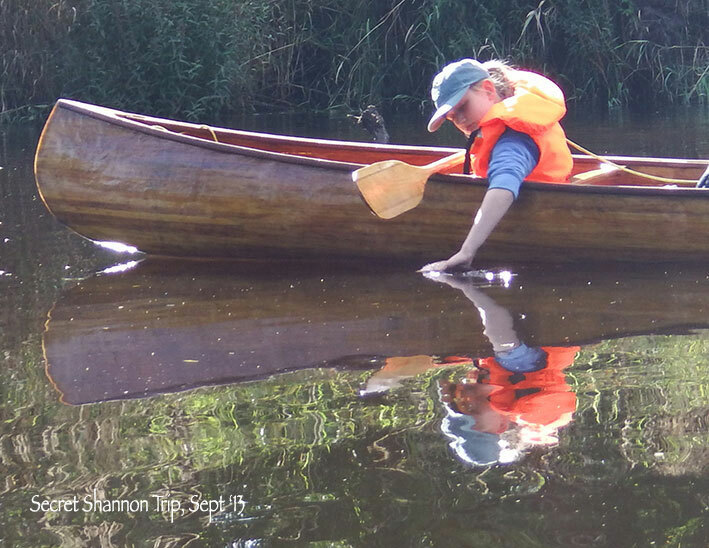 Recently we had three generations of the same family enjoying a day out canoeing on Lough Gill. The canoes are designed to take two people safely. We aim to have all sorts of people enjoy this fun, safe canoeing experience. With a minimum of tuition, from Graham and Adrienne your guides, Canadian canoeing gives the paddler a fresh perspective on nature, their surroundings and themselves. This is an environmentally friendly activity, where you take nothing but photographs and leave nothing behind but ripples. The North West of Ireland has an abundance of unspoilt, beautiful natural waterways. We will show and share with you islands and inlets, still waters and the scenic beauty that inspired W. B. Yeat’s writing of 'Lake Isle of Inishfree'. Whilst paddling the waterways you will have a chance to spot wildlife, make sketches, take photographs, land on an island for a picnic and discover ruins and evidence of past times. Come with us and relax, discover and explore the waterways of North West Ireland. We have both lake and river trips, tuition and team building sessions, which range from half day through full day to multi day canoe / camping trips.